Steampunk Countess - This steampunk countess is rich, pampered and dressed in height of alternative fashion. The bolero jacket is based on the tunic of a British grenadier at the time of the Crimean War. | Flickr - Photo Sharing! 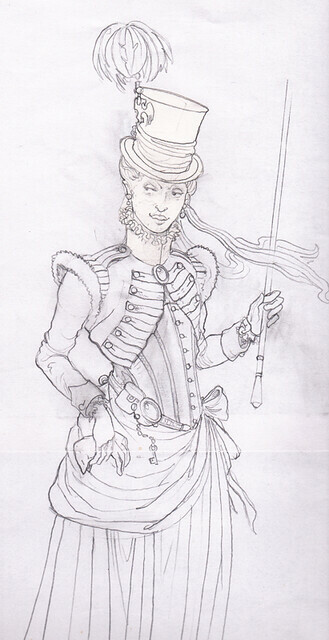 Steampunk Countess - This steampunk countess is rich, pampered and dressed in height of alternative fashion. The bolero jacket is based on the tunic of a British grenadier at the time of the Crimean War.